International study and internship Abroad programs are worth their weight in salt when it comes to the experiences, knowledge, and skills you’ll gain (not to mention the fun you’ll have and the friends you’ll meet!) But not everyone can afford to come - don’t give up! There are many ways in which you can get funding for that incredible experience of living, studying and working in China! Get part-time work and start saving (it may be slow, but it will be worth it!). Approach your university to find out what funding and scholarships may be available to help you get here. Look up opportunities for needs-based funding. Look at our special offers and scholarship opportunities below. Apply for a loan from your financial institution and pay this off over time. Create a budget, so you know how much funding you need and can track your fund-raising progress. Create a plan of attack. Know what you’re going to do and tick the items off the list. Don’t be disheartened if some ideas don’t work; there are many options to try! Apply early and apply often. Scholarships can be competitive and often need to be done a fair bit ahead of the time, make sure you meet the deadlines and apply for as many scholarships as you can find as this can help improve your chances of winning one. Pay in full two months or more before your program starts and we’ll give you a 5% discount. Pay your Chinese Language or Internship Program in a single lump sum and get a 5% discount. 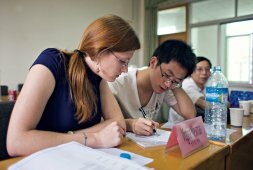 Participants who book a Chinese Language or Internship program for six months or longer will get a 5% discount. If you and a friend register together, you’ll both enjoy a 5% discount on your program fees. If you think our range of inspirational programs would appeal to your friends, family or colleagues, tell them about Go Abroad China today and you will both can enjoy a 5% discount.If you succeed in referring more than one person, you’ll receive more discounts in your own program fees, and we’ll start paying you a commission. Contact us for more information. We know it isn’t always easy to raise the funding you need to get here, so we’ve put together a range of special offers to help towards your fundraising efforts. On a Tight Budget? Customize your Program to make it work for you. Our programs have a range of inclusions that can be added, or removed, at your discretion. We’ll work with you to create a program that meets your budget requirements. You can also vary the length of your program to make it more affordable. Other options include part-time work while you’re in China. Our Program Coordinator can help you organize a part-time job, or you could teach English for a reasonable salary. 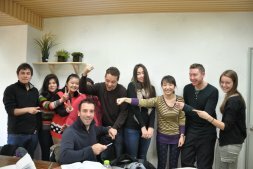 We are also able to arrange low-cost housing for participants who are willing to teach their accommodation hosts English. Speak to our team to discuss your options for planning a program on a tight budget. To make your program easier to pay off, we can offer you the chance to pay your program fee off with a payment plan. Go Abroad China is proud to be able to offer scholarship opportunities for your study abroad and international internship programs. We will award up to US$2 000 to successful applicants who apply for a full-year program and are successful in their scholarship application. We will award up to US$800 to successful applicants who apply for a Semester program and are successful in their scholarship application. We will award up to US$200 to successful applicants who apply for a four-week program, and up to US$600 for longer programs (up to six months) and are successful in their scholarship application. A free yet popular American college scholarship database. Registration is required. IEFA is a leading online resource for financial aid information for students hoping to study abroad in a foreign country. 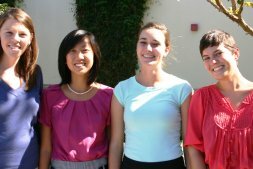 NAFSA provides an introduction to studying abroad along with grants and scholarships. FinAid offers an excellent overview of college financial aid. Study Abroad Funding offers a comprehensive directory of study abroad scholarships, fellowships, and grants to help students find funding for study outside the US for an undergraduate, graduate, or professional level of study. You can find financial aid Information on the US Department of Educations website.Best of the Web offers a list of options for scholarships and grants to study abroad, as well as links to scholarship search services. The International Scholarship Search is a financial aid, college scholarship and international scholarship resource for students wishing to study abroad. At this site, you will find the most comprehensive listing of grants, scholarships, loan programs, and other information to assist college and university students in their pursuit to study abroad. Find and compare scholarships for college students, college grants, fellowships, federal financial aid and other forms of student funding to cover expenses for international studies. Find a range of Chinese Government, University, Enterprise and Confucious Scholarships on the CUCAS website specifically aimed at international students. The Study Abroad Award essay competition is open to current and future college students who are interested in studying abroad. To enter, write a 150-250 word essay on this round's theme. The winner will receive $2,000. Good Colleges scholarships are designed to be easy to apply for and to promote positive study attitudes. The deadline is November 1 each year. Buddha Teas is happy to announce a monthly $500 scholarship program for students attending or planning to attend a fair trade university or study fairtrade or international studies.